We offer special pricing for academic prints because the files are print ready. There's about a .5” unprintable edge to our paper. Academic prints are not trimmed. 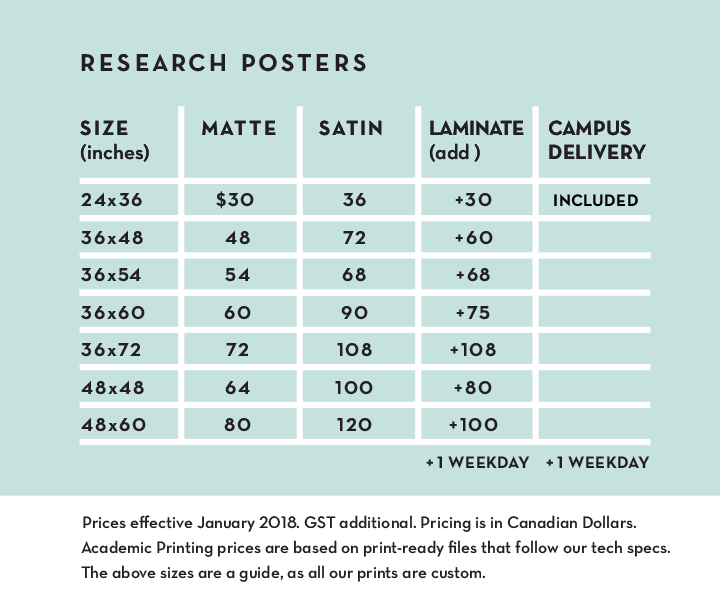 See the academic price guide for standard sizes. We certainly do customs sizes.